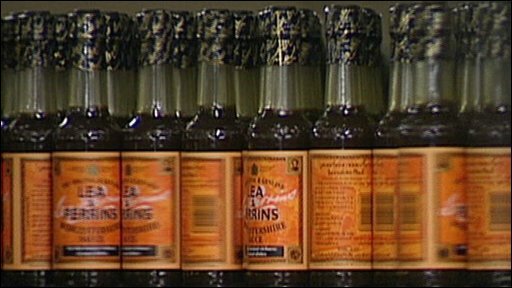 The "original recipes" for Lea and Perrins (L&P) Worcestershire sauce may have been found by one the firm's former employees, a museum has said. Brian Keogh was the L&P accountant then an archivist on his retirement in 1991. The late employee found rough, encoded notes about ingredients for the secret recipe in a skip by the firm's Midland Road site, Worcester Museum said. The notes date from the mid 1800s and the museum said it would conduct handwriting analysis to verify them. Mr Keogh wrote a book called The Secret Sauce and it is believed he used the notes found in the early 1980s as his source material. He collected many items connected with L&P and died in 2006 aged 80. His daughter Bonnie Clifford is now working with Worcester Museum to have his collection put on public display. Worcester City Museums collections officer David Nash said: "There has always been a lot of secrecy surrounding the recipes and pride that it is made locally. "It would be significant to the people of Worcester and maybe even attract national interest if they are proved to be genuine." A Heinz spokesman for Lea and Perrins said: "We are delighted to hear that a number of archive items from the history of Lea & Perrins have been found in safe keeping by the daughter of the company's former archivist." The hand-written notes were found in two, leather-bound folios, written in sepia ink in two different people's handwriting. A sticker in one of the books confirms it was purchased from a stationer's at 61 Broad Street, Worcester, next door to the original L&P chemist shop at 63 Broad Street. Mr Nash said: "Not even the staff knew the whole recipe, only parts of it, which would account for the different handwriting, and some of the ingredients were written in code. "For example you would see 'add 1lb of bulldog, or bulldog clip, or bull car', but even with all the ingredients there is no guarantee you would be able to make the sauce as what makes it distinctive is the way it is made, which is still a secret." 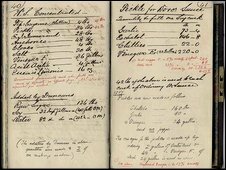 However, the ingredients were written in plainer English for the accountant to work out their constituent costs.